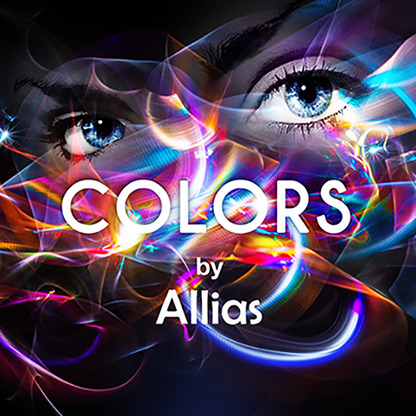 Colors by Allias is a completely impossible prediction effect that you can carry with you at all times. After displaying the many options on a color chart to your spectator, she chooses any strip she wants. Her chosen strip has four colors on it, and she has a free choice of any of them. Your prediction has been tabled from the start of your performance, yet matches her chosen color exactly. Colors is a mind blower! And you prove that you knew which one she'd select from the outset! This effect is completely self-working - the custom-made props do all the work for you. Your spectator chooses whichever strip she wants, and whichever color - with no force. A mentalism effect with a difference - no playing cards, just a prop that everyone will recognize. The custom-made color chart has been manufactured to be the perfect size for close-up performances. "Combining a range of ingenious principles in a prop like this is an amazing idea - it's perfect for close-up, thanks, Allias."